I’ve often wondered why leaders and tippet haven’t gone through any significant development over the last few years. On the one hand, it’s understandable: why rock the cart when anglers seem satisfied with the products that are currently available? On the other hand, it has been a long time since the last big new product—fluorocarbon—appeared on the scene. There are times when fluorocarbon feels essential, like when you’re trying to sink your tippet or fighting fish in abrasive environments, but fluorocarbon does have its detractors, many of whom cite knot-tying difficulties and complain about leader stiffness. Dayne Glass and Travis Thompson, founders of ARC Fishing, decided to up the tippet bar by combining the best of both worlds: fluorocarbon’s stealth, strength and abrasion resistance with nylon’s superior flex characteristics. 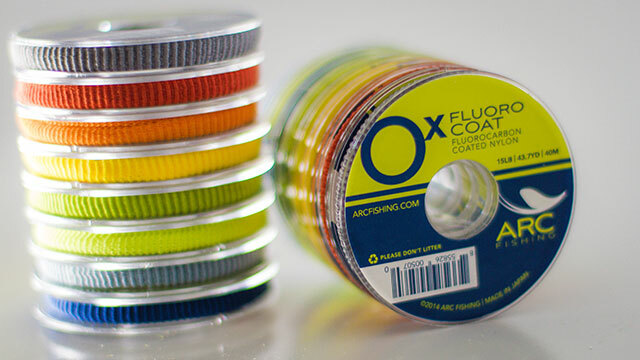 After spending two years identifying new technologies, they developed ARC Flourocoat—the world’s first fluorocarbon-coated nylon tippet. I had some apprehensions about this product, but must admit that it fared well during testing. Would it knot up well? Yes, and that’s despite the exterior fluorocarbon coating. The softer nylon core imparts some improvement in this area (over full-fluorocarbon products). Would it match well with full nylon leaders? Again, yes—and probably for the same reason. Another characteristic I found to be an improvement over 100% nylon tippet is Flourocoat’s low stretch, due to the fluorocarbon jacket. This amplifies sensitivity, thereby aiding hookset. Textured lines seem to be a growing product category. After fishing many of them, I’m a fence-sitter when it comes to their overall worth: I wouldn’t necessarily recommend them over smooth fly lines, nor would I dissuade anyone from fishing them. 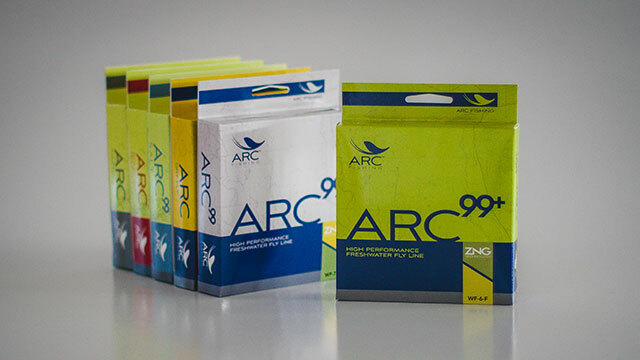 ARC99 is a new textured fly line that also comes in half-weight plus sizing (ARC99+) and in a dry fly configuration (ARC Dry Fly). I tested their standard line (ARC99) and believe that it goes a half-step further than other textured lines: the texture is a lightly embossed linear groove pattern that runs the length of the line, with the goal of obtaining low friction, and it does just that. Besides shooting extraordinarily well, it’s not noisy when speeding through the guides, which seemed to be a major complaint of anglers using textured lines. Another benefit, once again due to the groove orientation, is that the ARC99 far easier to keep clean than competing brands. It’s hard to catch a fish if you don’t feel the grab, so this line is built on a low-stretch core, a recent trend in line design that I see becoming the norm within a few years. The company site lists many other technical features that add to the line’s appeal. Availability: The tippets and line are available for purchase now at a limited number of fly shops around the country. If an angler can’t find it at their local fly shop, they can order it from FeatherCraft (800-659-1707) or call ARC Fishing directly at 844-272-3474 (ARC-FISH). Interested dealers also should call 844-ARC-FISH to order directly.